I was born in 1962 in Sorano, a small Medieval village in southern Tuscany. I deeply feel my Etruscan origins of which I am proud. I grew up in this tufaceus land, characterized by Etruscan tombs, archaeological finds and excavations. 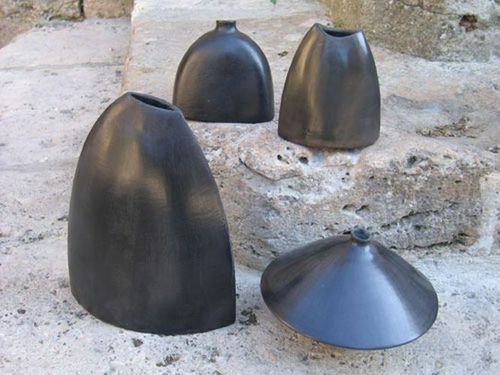 I have always been interested in the Etruscan Terracotta, named Bucchero and especially in the black, thin and perfect one which dates back three thousand years ago. I have always wondered how they could be able to create such beautiful articrafts using the poor tools they had at that time! 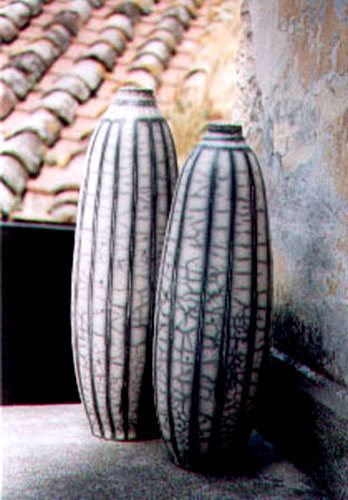 At the age of eighteen I began attending a pottery shop in Sorano, where I worked just for fun. In this way I had the chance to experiment the ancient firing techniques starting from the Bucchero, in which I was so interested, up to the Japanese technique named RAKU. 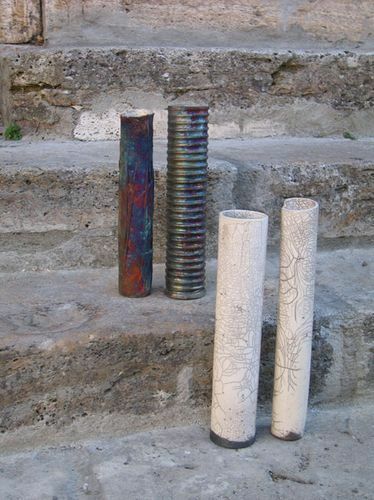 It is in Capri, with Nino Caruso, that I discovered the charm of RAKU: the magic transformations, the living fire, the smoke, the enthusiasm for the results. I travelled across Italy, in Venice and Turin I worked and studied and then I stopped in Amsterdam, where I lived four intense years. 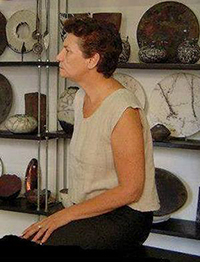 There, I had the opportunity to know many potters, I learned new techniques and also improved my skills on RAKU. I came back to Italy, in Sorano, because I was lacking the right space and horizons to let my fantasy grow up.